I need to report sales activities daily to my boss and customers. However I see that there are some data inconsistencies generated from different resources. 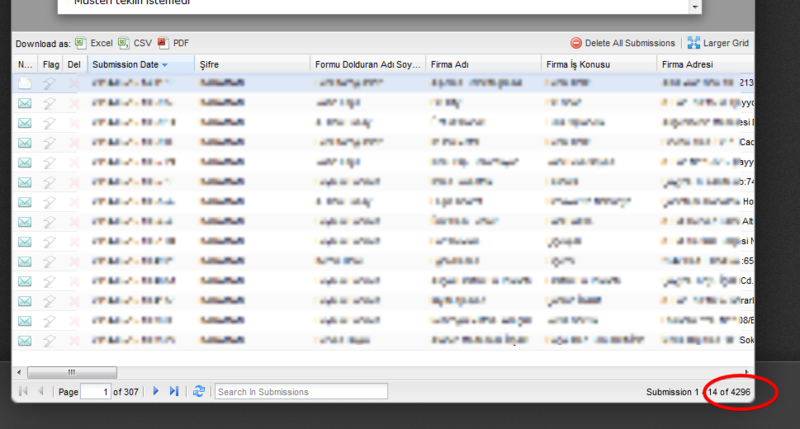 When I access JotForm from a PC through Explorer I get a data of 4001 items. However when I access my account with my password from an Apple through Safari, I see that I have 4223 data items. As you can see this creates a severe problem regarding my job results. I need your support on the issue asap. I checked your account canefe and noted that you are a sub-user of the account Acun which owns the form. So far I am not able to reproduce the inconsistency on the Excel report. We would be glad to investigate it further if there really is inconsistency issue. It would help us in testing further if you can provide us image/screenshot were you can show to us the discrepancy in numbers. after you upload the image, share to us the image URL link when you reply again here. This way we can see how it looks on end. Hope this help. Please continue updating us if issues persist.